Thomas Tuchel will not dictate who takes penalties for Paris Saint-Germain, despite Neymar and Edinson Cavani's on-field rows last season. 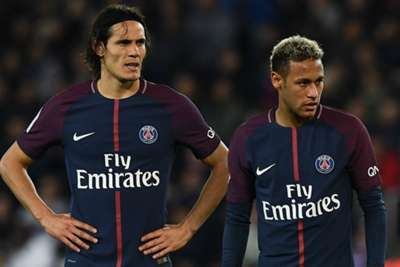 Uruguay striker Cavani is now PSG's all-time leading scorer – a distinction he was forced to wait for when Neymar took a spot-kick against Dijon in January. The Brazil superstar converted for his fourth goal of the game but, with Cavani one goal away from the landmark, the Parc des Princes crowd whistled Neymar. It was not the first public confrontation over the role between Neymar and Cavani, and Tuchel chuckled when the topic was raised at his pre-match news conference for Saturday's trip to Guingamp. "I have not had any troubles with my teams before doing this but I noticed from outside that there was an issue in the last season," the former Borussia Dortmund head coach said, before explaining he likes to leave such decisions in the hands of his players. "Even if it might sound naive, I still believe we find solutions with the players. It's not my way to write a name down half an hour before kick-off because that will create a lot of trouble. "The goal is to find solutions with the guys. I am happy to have players who are hungry to score. "For them every goal counts. It's like this with the strikers and that's good thing." Tuchel praised Cavani's approach since his return to training on the back of Uruguay's run to the World Cup quarter-finals as being "like a machine" but the centre forward will sit out the Guingamp match alongside midfielder Marco Verratti and left-back Layvin Kurzawa. It means any potential penalty tiff is at least delayed in the short term and Tuchel has no concerns over a battle of egos subsuming a squad of stars that also features France World Cup sensation Kylian Mbappe, with a possible battle for individual honours such as the Ballon d'Or on the horizon. "You cannot achieve anything in football without your team," Tuchel said. "You can have a lot of individual world class players but if you don't have your team you have nothing. "If you want to win the Ballon d'Or you need support from your team, your staff, your club – everything. "I don’t think it is a big subject between the players and in the players' minds when they pay and train together." Tuchel observed that some of the supposed frontrunners for this year's Ballon d'Or suggest a shift that his star forwards would do well to recognise. 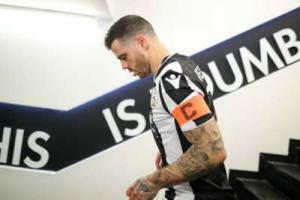 "Even now, when players like N'Golo Kante, [Luka] Modric and [Ivan] Rakitic are close to winning the Ballon d'Or we see a certain change in the approach to football," he added. "They can only win individual titles if we win titles with the team. I feel they are totally aware of that. If we stay like this everything is possible."